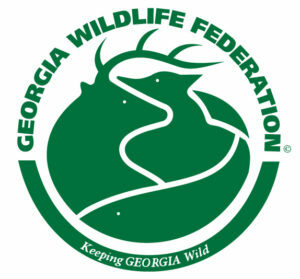 Celebrate Earth Day with Georgia Wildlife Federation. 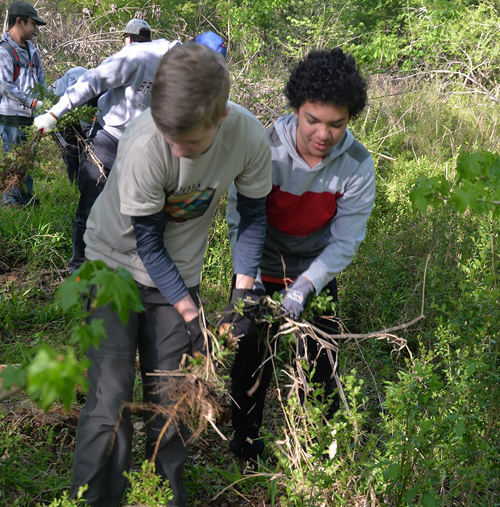 We’ll get our hands dirty by removing invasive, exotic privet from the Mill Creek Nature Center wetland in Buford. This nasty plant chokes out our native vegetation and can quickly alter the natural landscape that our wildlife depends on. Thankfully, the ongoing efforts of our volunteers keep it at bay and continue the GWF mission to restore and rehabilitate our wildlife habitats. At 11:00, all participants are invited to the amphitheater for an entertaining and educational presentation on “Fabulous Frogs” by Georgia DNR’s by Linda May. Participants should meet at 9 am in the gravel parking lot near the intersection of Mall of Georgia Blvd and Nature Center Parkway (Look for our MCNC banner on the corner). Please park in the area between the Bird Watcher Supply Store (1999 Mall of Georgia Blvd.) and Tuesday Morning. If the area is full, park across the street in the Mall of Georgia parking lot. Cross the street only at the traffic light using the crosswalks. DO NOT PARK in front of the Once Upon A Child store or the Bird Watchers Supply Store. Please respect the customer parking for these retailers. Please bring gloves, loppers, hand saws, pruning shears, insect repellent, sunscreen, and bottled water. It is recommended that everyone wear closed toes shoes as well. For more information, contact Hank Ohme at hohme@gwf.org.